As you may recall, IDEA requires each state to provide a “free, appropriate public education” (FAPE) to each child with a disability. Before the Supreme Court’s decision in Drew’s case, when a court was deciding whether a child was receiving a FAPE, it would consider whether the services provided to the child were providing “some educational benefit.” Specifically, the standard was whether the child was making “merely more than de minimis” progress as a result of the educational services provided by the state. 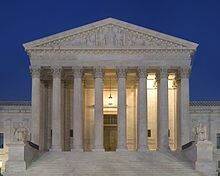 In the last LegiSource article on this topic, we concluded our explanation of the Supreme Court’s ruling by wondering how the federal district court would apply the Supreme Court’s new standard to Drew’s case. Would the judge find that the services Douglas County Schools (DCS) was offering would have enabled Drew to make progress appropriate to his circumstances? Now we know. And the answer is—no. On February 12 of this year, the U.S. District Court for the District of Colorado ruled that DCS had failed to provide Drew with a FAPE because the individualized education program (IEP) that it provided for him was not reasonably designed to enable him to make progress appropriate to his circumstances. When it first heard the case, the district court found that the services DCS was providing caused Drew to make at least some educational progress from year to year. And the Tenth Circuit court of appeals agreed, concluding that it was “without question a close case,” but there were sufficient indications of Drew’s past progress to find that the school district was making more than minimal progress. So DCS met the standard that applied at that point. But when the federal district court applied the new, more rigorous standard required by the U.S. Supreme Court, it found the IEP that DCS prepared for Drew was not sufficient. The IEP proposed in April of 2010 was based largely on the services provided in earlier years during which Drew had made only just minimal progress. As such, these same services could not be expected to help him make the higher level of progress that he could achieve, given his circumstances. The court also found that DCS had not developed a formal plan to properly address Drew’s behaviors that were disrupting his access to educational progress, which suggested the IEP proposed in April 2010 was not reasonably designed to enable Drew to make progress. So what does this decision mean for Drew and his parents? The district court ordered DCS to reimburse them for all of the tuition they have paid since Drew enrolled in Firefly Autism House in 2010, for the costs incurred in transporting him to the school, and for their reasonable attorney fees and costs in pursuing the case. The family will file a brief tallying up what they think the full amount should be, and DCS will have the chance to respond. In a recent Denver Post article, the family’s attorney estimated the final judgment would be in the seven figures. In our previous article, we also questioned how much of a difference the new standard would make and whether it would drive real changes in the level of services that schools provide to children with disabilities. The Supreme Court really didn’t answer the question of whether a school has to provide very expensive services to enable a student to make the most progress or whether less expensive services that result in good progress are sufficient. And deciding how much progress is appropriate in light of a child’s circumstances is not clear-cut. So far, there have been two reported cases decided using the new standard of “progress appropriate in light of a child’s circumstances.” In Board of Education of Albuquerque Public Schools v. Maez, the U.S. District Court for the District of New Mexico found that Albuquerque Public Schools (APS) created an IEP for the student, known as “MM”, that was reasonably calculated to enable him to make appropriate educational progress. In both cases, the students had significant disabilities related to autism, and in MM’s case other “global developmental delays.” Not surprisingly, the analysis in each case is based very heavily on the facts and the circumstances that are specific to each student. In AH’s case, several evaluations indicated that AH needed physical, occupational, and speech therapies, but the school district failed to provide these therapies. Also, because of AH’s behavioral issues, the school district removed her from the regular classroom, placed her in an “alternative learning environment,” and ultimately refused to provide her any special education services. The alternative learning environment was a single room with eight other students and a teacher who not only wasn’t highly qualified in the core academic subjects, he didn’t have any significant training in teaching children with disabilities. The court found that, by not addressing any of AH’s behaviors, the school district failed to meet even the test for enabling the student to make “more than de minimus” progress, much less progress appropriate to her circumstances. While these cases may give some indication as to how courts will apply the new standard, the outcome in each case arguably would have been the same under the old standard. It’s likely that the new standard will make a difference only in the cases like Drew’s where it’s a very close call; the student is making a little bit, but not much, progress. In these cases, the new standard will make it more likely that a court will require a school district to provide a higher level of educational services.